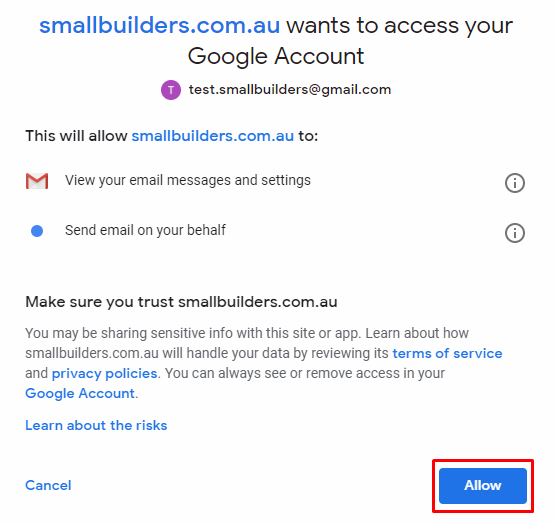 This feature allows you to retrieve email from your Gmail then save it in Small Builders - Notes Tool. 1. From your navigation bar, go to Management > Integration > Gmail. Or type in 'Gmail' from the search bar located on the upper right corner of your portal. 3. 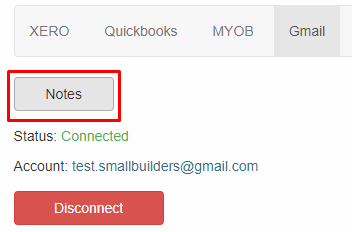 Login your credentials then click Allow. 4. You are now connected to your Gmail. 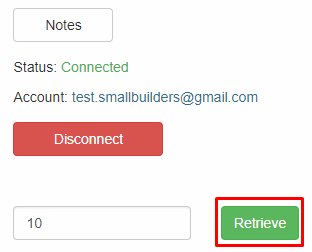 Input the number of emails you want to retrieve. Then click Retrieve. 5. 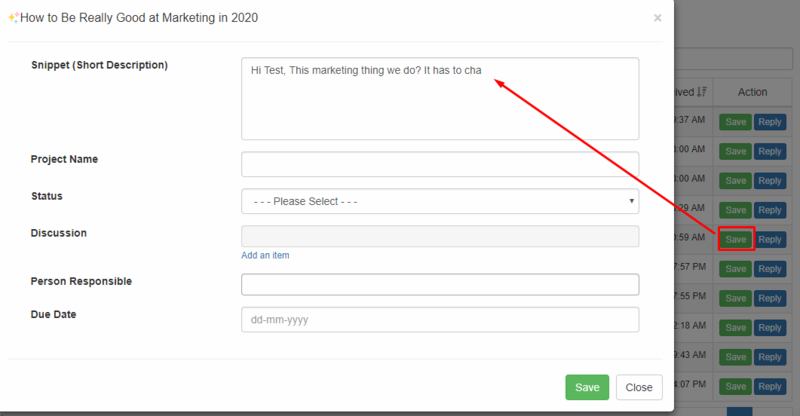 Your email content will be displayed on the page. You may click Read More to view more details. 6. Click Save to save it in your Notes tool. 7. Fill out the fields then click Save. 8. Click Reply if you want to send response to the email you received. You can also save replied email to your notes. 9. 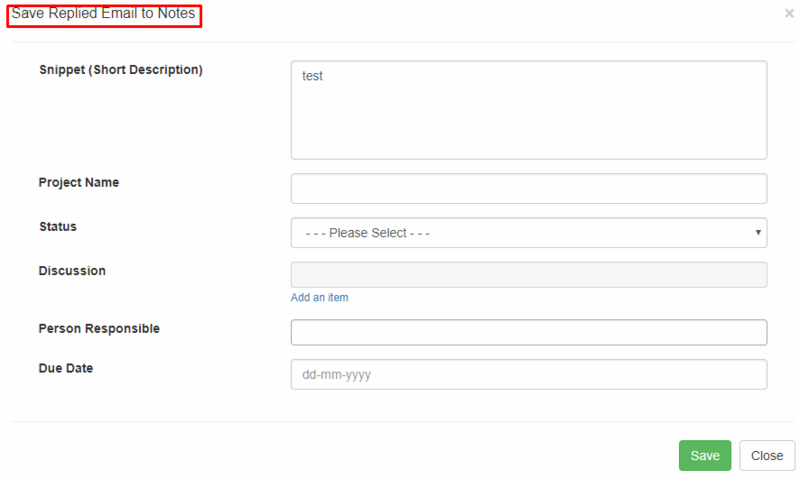 To check if your email was successfully saved, click Notes at the upper part of the integration page.